A recent NPR story sheds light on the growing number of people with mental illnesses residing in America’s prisons and jails. Rather than treating mental illness with therapy and treatment programs, the government uses the criminal justice system as a warehouse for people with mental health issues. With little capacity to provide mental health services, US prisons and jails struggle to treat these individuals. The increasing “criminalization of mental illness” dates back to the 1950’s when the federal government first began its push for deinstitutionalizing individuals with mental illnesses. There were two main aspects of deinstitutionalization: individuals would be taken out of state-run mental institutions (many of which had a reputation for inhumane treatment) and then treatment would be provided through community mental health programs. In theory, deinstitutionalization sounded promising. People would be moved out of restrictive state institutions and moved into community-run programs. However, deinstitutionalization backfired when community mental health services lacked funding. Thus, people were removed from institutions and received no support services or treatment for their mental illness. As a result, those who were deinstitutionalized ended up homeless or in prison. Deinstitutionalization has largely been a failed policy, and the responsibility for treating people with mental health issues has shifted from mental institutions to correctional institutions. Today, over 350,000 individuals with mental illness are incarcerated in the US. 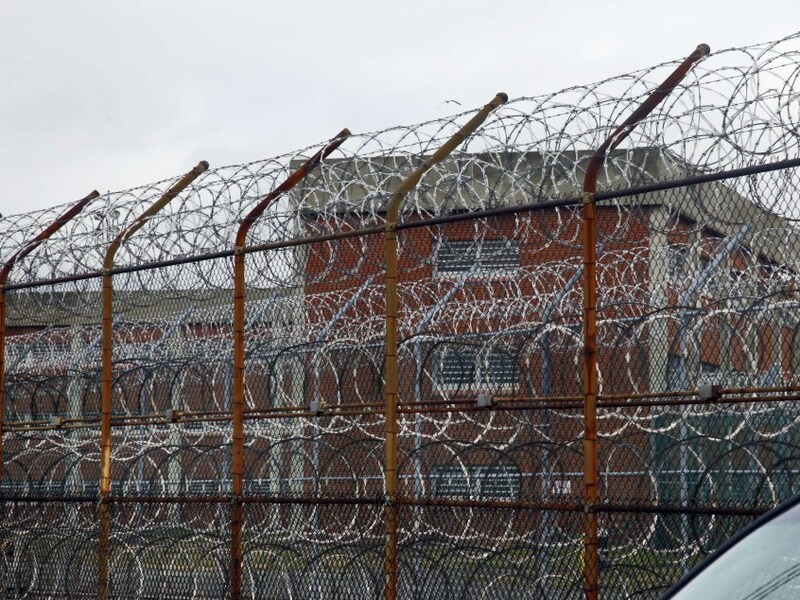 Similar to the push for the deinstitutionalization of people with mental illnesses, recent budget crises throughout the US have resulted in bipartisan support for the closure of costly prisons and jails. As deinstitutionalization has taught us, however, if states are to be successful in closing prisons (and, ultimately, in ending mass incarceration), well-planned and well-funded alternatives to incarceration need to be in place. September 4, 2011 – LAURA SULLIVAN, host: This is WEEKENDS on ALL THINGS CONSIDERED, from NPR News. Guy Raz is away. I’m Laura Sullivan. Half a century ago, mentally ill people were often locked away in insane asylums – places built like castles, with grand staircases and large gardens. CHRISTOPHER PAYNE: The asylums of the 19th century, some of them were the largest buildings of their time. PAYNE: They thought that the architecture and the buildings in this lush landscape, this almost utopian environment, could actually transform people and help them feel better. SULLIVAN: Instead, many asylums became houses of horror. We’ll hear more from Payne in a few minutes. But what happened to all of those people? Many states shut down their mental hospitals in the 1980s. Six hundred thousand former residents were supposed to find support in community mental health centers. But those centers rarely had enough money, and they still don’t. Now, three decades later, more than a million people a year with mental illness are finding a home in the two places that can’t turn them away: jail and prison. Judge STEVE LEIFMAN: We have a criminal justice system, which has a very clear purpose: You get arrested. We want justice. We try you. And, you know, justice hopefully prevails. It was never built to handle people that were very, very ill.
SULLIVAN: That’s Steve Leifman. He’s a judge in Miami, Florida, and he says the result has not been good for the mentally ill, the taxpayers or the criminal justice system. That’s our cover today: the nation’s courts, jails and mental illness. Judge Leifman has seen the problem firsthand for a decade. People often stand before his bench with no sense of where they are or who they are. And for years, he wasn’t able to do much to help them. LEIFMAN: What we used to do – which I tell people was the definition of insanity because we kept doing the same thing again and again, and expected a different outcome – they would commit an offense; the police would arrest them; they’d come to court. They’d be acting out so we would order two or three psychological evaluations, at great expense. We would determine that they were incompetent to stand trial. And we’d re-release them back to the community – and kind of held our breath and crossed our fingers and hoped that somehow, they’d get better and come back, and we could try them. But they would just disappear and get re-arrested. SULLIVAN: How soon would you often see some of the same people come back? LEIFMAN: Yeah. They’d walk out the door. They were floridly ill; they’d act out. Because it’s next to the courthouse, there are several officers out there, and they’d get re-arrested. And just to give you a clear picture in your mind of what I’m talking about is, we did a sampling, and we asked one of our institutions, University of South Florida, to look at who our highest utilizers of criminal justice and mental health services were in Miami-Dade County. And they were able to narrow it down to 97 people who, as it turned out, were primarily diagnosed with schizophrenia. But over a five-year period, these 97 individuals were arrested almost 2,200 times, and it cost the taxpayers $13 million. SULLIVAN: Thirteen million dollars for 97 people? LEIFMAN: Thirteen million – we would’ve been better off sending them to Harvard. And the problem is, because the system doesn’t really know what to do with them, they just keep recycling again and again. And this goes on in every single community in the United States. SULLIVAN: You’ve created somewhat of a novel idea down in Miami-Dade. It’s actually – it’s a facility. It’s a new facility. Tell me about it. LEIFMAN: We were able to get the state to lease the county an old state hospital that’s near the jail. And we received $22 million to take this old facility and to restore it and convert it into a forensic diversion facility. And ultimately, what it’ll look like, it will be part jail for people that will be getting slated to go into this facility. Once they’re stabilized, they’ll go to a more longer-term facility – all this in the same building. And they’ll continue to step down until they’re actually ready to go back into the community. We hope to have what we call a clubhouse model, which is run by people with mental illnesses, where they learn to have day activities; they learn job opportunities; they learn how to cope with their illness; they learn how to be involved in their own – self-recovery. And look, we can’t help everybody. But if we can keep 50 percent of the people who are coming into our jail out – who have serious mental illness – we’ve made a huge, huge dent in the problem. SULLIVAN: That’s Miami-Dade County Judge Steve Leifman. He’s chair of the Florida Supreme Court’s task force on substance abuse and mental health issues, and he sits on the bench in Miami-Dade. Thank you so much, Judge, for talking with me. LEIFMAN: Thank you very much. SULLIVAN: With so many mentally ill people funneling through the court system, it’s also become an enormous problem for jail administrators and sheriffs across the country. In Travis County, Texas, Sheriff Greg Hamilton says one of every four people in his jail has a mental illness. GREG HAMILTON: The intent was not to be the largest mental health institute in counties – and it’s not just Travis County, it’s around the state. And I can tell you that oftentimes, officers bring these individuals who have mental illness to jail because there’s no beds in the – that the state hospitals have available. SULLIVAN: So what is it like to have that big a population, in terms of the actual facility and the operation of it? HAMILTON: Well, it’s very costly trying to house mentally ill. Number one, you have to stabilize those individuals if they’re going to be in your jail for any length of time. And I’m finding that because of the lack of state beds for inmates to go to, they’re spending longer times in our jail. SULLIVAN: How long can that be? HAMILTON: Oh, it could be – we’ve had individuals that have been in our jail for as long as – 258 days was the longest. SULLIVAN: Two hundred and fifty-eight days? HAMILTON: Yes, ma’am. But the average wait is 50 to a hundred days. SULLIVAN: And you guys have done a lot – especially, hiring a psychiatrist on staff, counselors. That’s more than most jails have done, but is it enough? HAMILTON: Oh, no. Not at all. I can tell you here at the Austin State Hospital, I think that they have a facility for 236, but they have 20 psychiatrists. We have one and a half. SULLIVAN: And how many inmates do you have? HAMILTON: We have 400 daily. SULLIVAN: Do you see some of the same inmates coming through again and again? HAMILTON: Oh, yes, ma’am. They are – oftentimes, they get out of our facility, and we have stabilized these individuals. But then, because of the lack of resources, sometimes it’s hard for them to go into a facility to replenish their meds or to see a psychiatrist. So after a while, these individuals go right back into that psychotic behavior. And it seems to me that we have criminalized being mentally ill.
SULLIVAN: And then it becomes your problem. HAMILTON: Yes, ma’am. I think that’s the bottom line right there. The jail was never meant to be a state hospital or a treatment facility. SULLIVAN: That’s Sheriff Greg Hamilton. He runs the Travis County Jail in Austin, Texas. Thanks so much, Sheriff. HAMILTON: You’re quite welcome. Thank you. SULLIVAN: So whatever happened to those grand old castles built with the best of intentions, where so many mentally ill people lived and rarely ever got to leave? Chris Payne photographed more than 70 of them in 30 states for his book “Asylum.” Most have been abandoned behind barbed wire, left to ruin – their university-like campuses, farms and enormous buildings. PAYNE: And some of these – like Buffalo State Hospital in Buffalo, New York – grew to over a third of a mile long. So the asylums of the 19th century, quite simply, dominated the landscape. SULLIVAN: One of the things you documented in your photographs was how self-sufficient these places were. And you showed these gorgeous pictures of old farms and old equipment, and these giant kitchens and – why were they so self-sufficient? I mean, did they have to be or – was this a matter of keeping things closed in? PAYNE: In the beginning, they had this notion – it was called moral treatment. And the idea was that the afflicted would be removed from, let’s say, the city, and put in one of these utopian environments and put to work. And also, in the 19th century, you know, any remote institution or community had to be self-sufficient. SULLIVAN: You took thousands of photographs to put this book together. What are the ones that really stand out for you? PAYNE: The ones that stand out, really, are – the shot of the toothbrushes. It was an abandoned ward way in the depths of an abandoned hospital, and all of the patients, for some reason, everyone left their toothbrushes there. And the rest of the building, parts of it, were missing floors. And the fact that this little box of toothbrushes had survived on a wall, when the rooms around it were crumbling, was incredible. It was a kind of a once-in-a-lifetime find. SULLIVAN: And let me also say that listeners can see these photographs at npr.org. Let’s talk about this picture of unclaimed copper cremation urns from the Oregon State Hospital in Salem, Oregon. And it’s this kind of – again, a rundown-looking room and I mean, just hundreds of urns. They look like coffee cans. I mean, if you look really quickly, it looks like they left soup behind. Tell me about this photo. PAYNE: Yeah. So these were unclaimed cremation urns, and they date from the early 20th century. And since there were thousands of people in these institutions, you know, a lot of them were either put there against their will, or just kind of left there by their families. And so when they died, they had no one to claim them. And you could often tell the weight or the age of someone by the weight of the can. Most of the inscriptions had fallen off. But it was evident that the ages ranged from somewhere, I think, some children to, you know, some older adults, people who had been there their entire lives. SULLIVAN: Since a lot of these buildings are still empty, what’s going to happen to them now? PAYNE: Well, unfortunately, most of them will probably be demolished. Developers will come in; they’ll buy the hospital from the state, and then tear down the old buildings and then put up condominiums – because the land that these asylums were situated on was prime real estate. And I guess what bothers me the most is that there’s always going to be a segment of the population that could use some kind of institution like an asylum, whether you stay there your whole life or just a few weeks. And why not give that land back to the mentally ill that need it the most rather than develop it privately? SULLIVAN: That’s Chris Payne. He’s a New York photographer whose book “Asylum” documents state mental hospitals across the country. He joined us from New Zealand, where he’s traveling. Chris, thank you so much.